December 1, 2016 (New Orleans, La.) - Bayou Country Superfest organizers announced today that Blake Shelton, Miranda Lambert, Brooks & Dunn, Rascal Flatts, Thomas Rhett, Hank Williams Jr., Brett Eldredge, Old Dominion and more are all coming to the air-conditioned Mercedes-Benz Superdome for the 2017 Superfest, the first-ever to be held in New Orleans. Already a Memorial Day tradition, Bayou Country Superfest will take place May 26, 27 & 28 with a free kick-off celebration on Friday, May 26 at Champions Square, located outside the Mercedes-Benz Superdome featuring Easton Corbin and more! RASCAL FLATTS	HANK WILLIAMS JR.
New for 2017, VIP packages include tickets to both days of the Superdome concerts with exclusive access into the VIP Saloon, a parking permit, a luxurious club located steps away from the stadium floor, featuring a host of benefits including a complimentary buffet dinner; a top-shelf cash bar; massages; charging stations; and more-all in a private, relaxing atmosphere. Visit BayouCountrySuperfest.com for details. Quint Davis, producer/director of the Bayou Country Superfest said, "We are bringing a Super Superfest to the Superdome! It is an over-the-top gathering of talent with the full range of iconic giants of country music. Blake Shelton. Miranda Lambert. Brooks & Dunn. Rascal Flatts. Thomas Rhett. And Hank Williams, Jr. will have all his rowdy friends over. In air-conditioned comfort, with no possibility of rain, the Bayou Country Superfest party will rock harder than ever. The best reserved seats will go fast , so get on board now; the Superfest is coming to the Superdome, bigger and badder than ever!" Lt. Governor Bill Nungesser added, "I&apos;m excited to be a part of the unveiling of such a great lineup for this year&apos;s Bayou Country Superfest! The Dome will be rocking and New Orleans and the State of Louisiana are ready to welcome the thousands of visitors coming to see these stars put on a spectacular show! Our entire team worked hard to keep this event in Louisiana and our tourism industry partners will benefit from the impact of the 2017 Bayou Country Superfest." Mayor Mitch Landrieu said, "New Orleans is thrilled to welcome the 8th annual Bayou County Superfest and the biggest names in country music to our city. This event adds yet another thread in the festival and music-filled fabric that New Orleans is so well-known for. We pride ourselves on our ability to host a wide range of large-scale events and look forward to inviting country music fans to our great city." 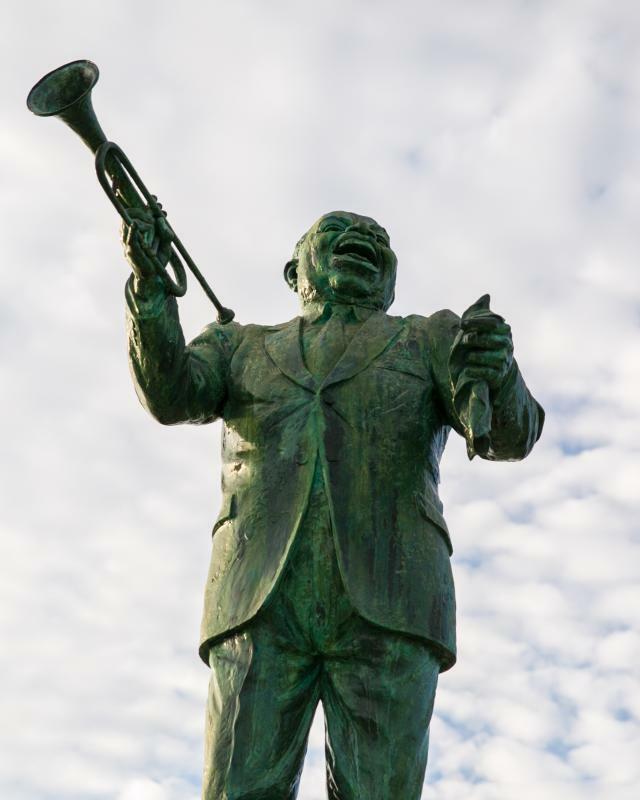 "New Orleans is known the world over for its music. We couldn&apos;t be more pleased about the Bayou Country Superfest adding to the already amazing myriad of musical experiences found here by securing a star-studded lineup of country performers for this summer&apos;s festival. I have no doubt that the next Bayou Country Superfest at the Mercedes-Benz Superdome will be the beginning of a New Orleans Memorial Day tradition for country music fans from around the country," said Stephen Perry, President & CEO of New Orleans Convention and Visitors Bureau. "We are so honored to host the most iconic of country music festivals in Louisiana in the Mercedes-Benz Superdome," said Mark Romig, president and CEO of the New Orleans Tourism Marketing Corporation (NOTMC). "Bayou Country Superfest is now poised to become the powerful welcoming siren to New Orleans for not only Memorial Day weekend but the rest of New Orleans&apos; exciting summer." "Today&apos;s announcement of the many great artists who will be performing at the 2017 Bayou Country Superfest further validates the relocation of the festival to New Orleans," said Alan Freeman, SMG General Manager of the Mercedes-Benz Superdome. "The Superdome&apos;s climate controlled environment will allow the artists to present their fans a more complete and enjoyable concert experience regardless of the outside weather conditions. The Superdome&apos;s fully upholstered seating, multiple food and beverage options, and many other amenities guarantee that fans will experience a weekend of great music in a world class venue. We look forward to the Friday night kick-off concert in Champions Square before two thrilling nights of music by the biggest names in Country music in the Mercedes-Benz Superdome." Festival-goers should plan to arrive early on May 27 and 28 for the official Bayou Country Superfest Fan Fest located directly outside the Superdome in Champions Square, featuring country music on the Bud Light Stage, festive food, and much more. For information on the Country Superfest, visit www.BayouCountrySuperfest.com and register to receive email updates, or become our fan on Facebook. For information on premium sales and suites, contact the Bayou Country Superfest Premium Sales Office at wes@fpi-no.com. New Orleans area hotels are offering special Bayou Country Superfest hotel rates for the event. Visit www.BayouCountrySuperfest.com for availability and rate information. Sponsors of the 2017 Bayou Country Superfest are: The State of Louisiana Department of Culture, Recreation & Tourism; New Orleans Convention and Visitors Bureau; New Orleans Tourism Marketing Corporation; Bud Light, the Official Beer of the Bayou Country Superfest. To inquire about sponsorship opportunities please contact the Bayou Country Superfest Sponsorship Department at (504) 410-4100.